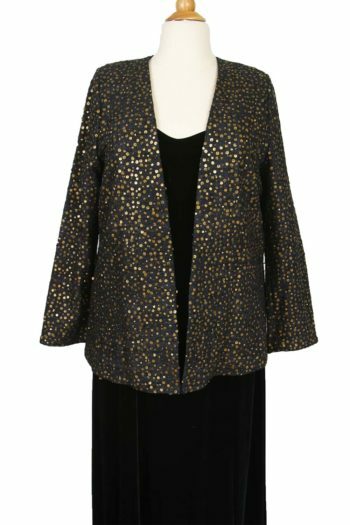 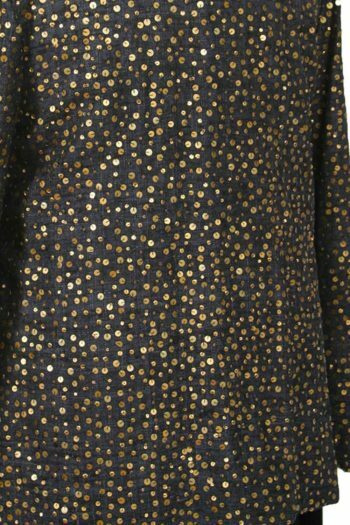 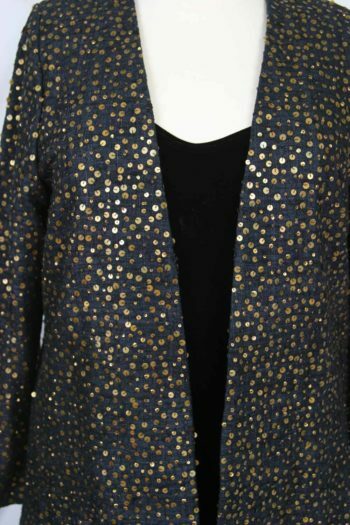 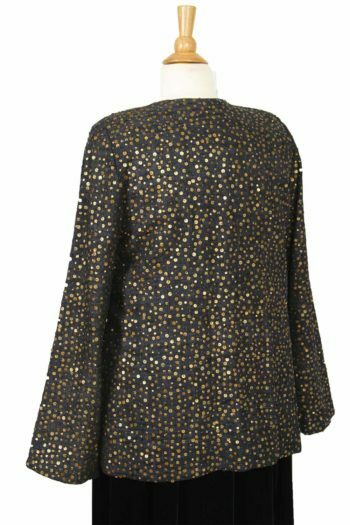 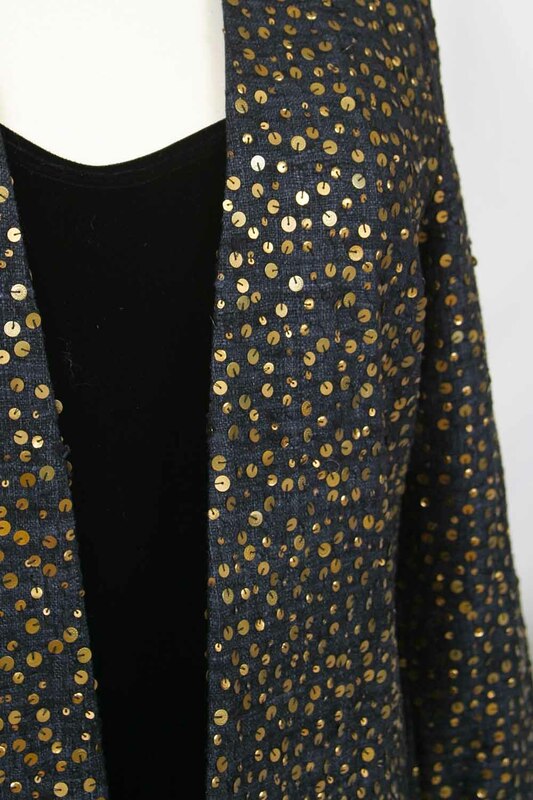 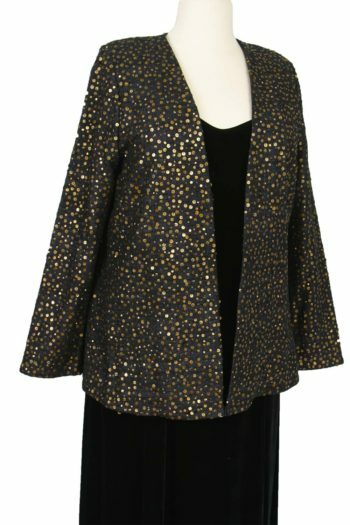 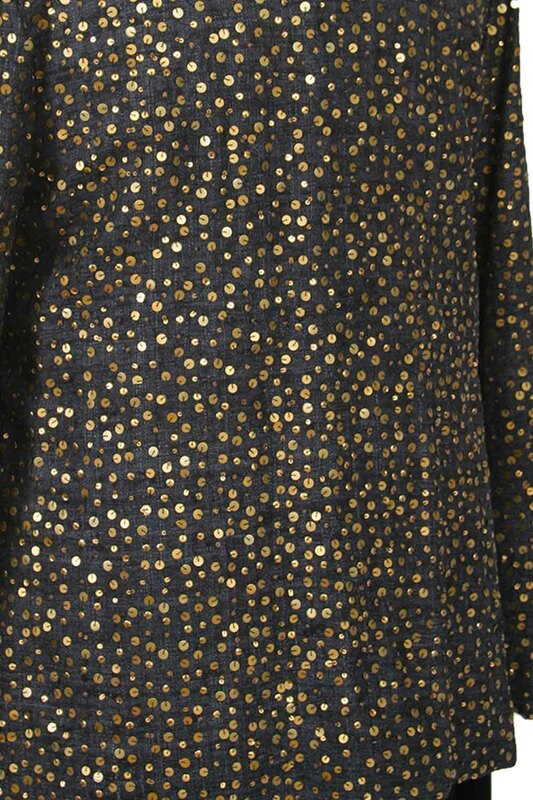 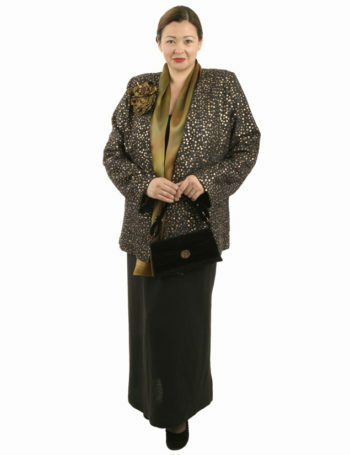 Special Occasion Dressy Blazer Jacket Raw Silk Sequins Black Gold Sizes 14 - 32: Burnished gold flat paillettes, each one applied by hand, embellish this black, nubby raw silk jacket, reflecting light with a matte, bronzed effect. 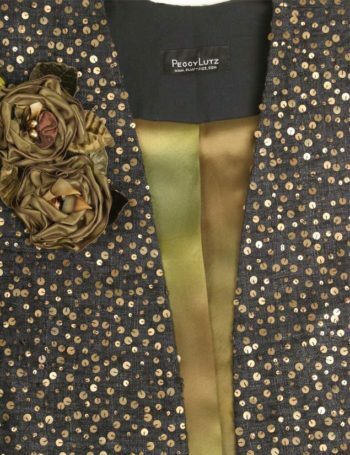 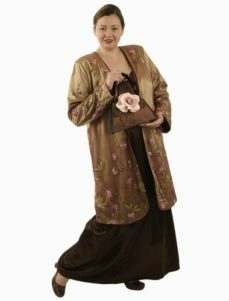 The extraordinary, hand-dyed, ombre silk charmeuse lining moves through various olive greens, bronzes, and a touch of absinthe. 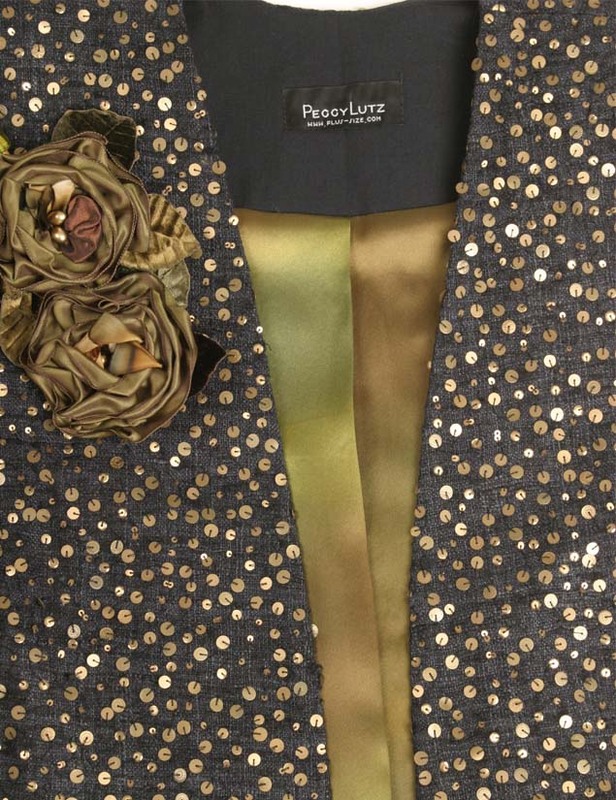 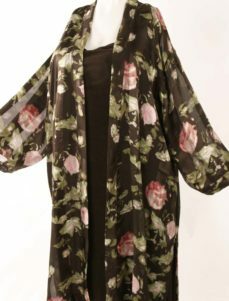 These same shades are focused in the Tracy Holcomb Couture Flowers that accent a jacket so sensual that slipping into it will be your own secret pleasure. 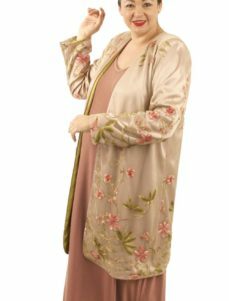 Be the first to review “Special Occasion Dressy Blazer Jacket Raw Silk Sequins Black Gold Sizes 14 – 32” Click here to cancel reply.